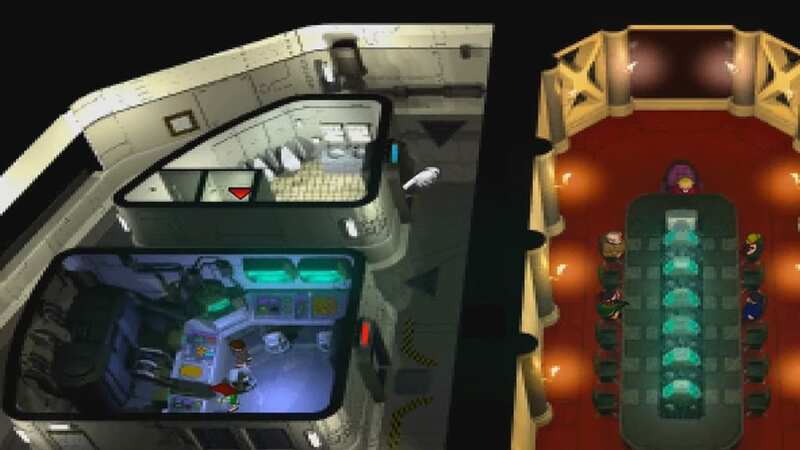 A complete walkthrough for the Shinra Headquarters in Final Fantasy 7 (FFVII,) including enemies encountered, obtainable items, and boss strategy guides. 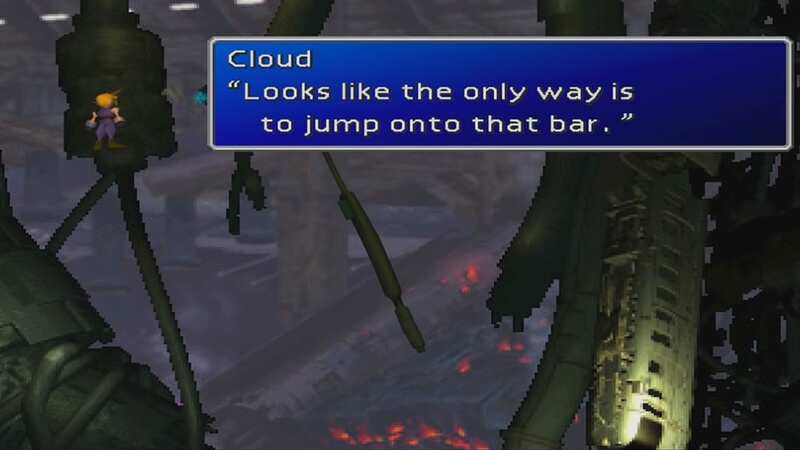 Watch cutscene: “Playground.” Cloud leaves for a while and ends up at Sector 6. 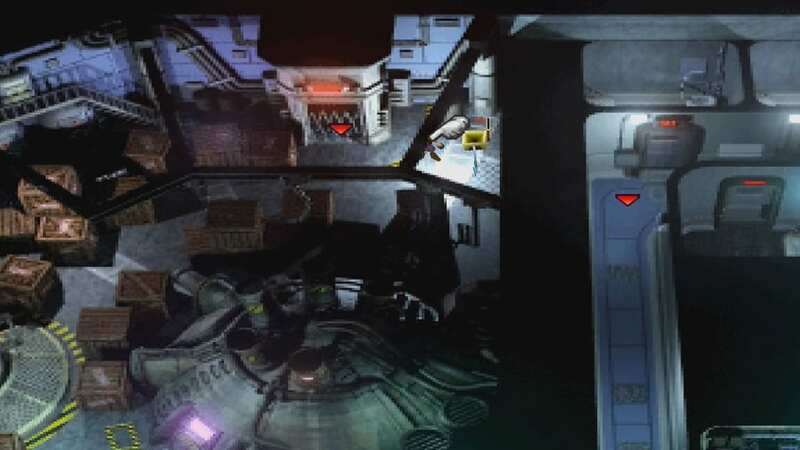 Move further in the Sector 6 maze area until Tifa and Barret catch up to you. Turn back and return to the playground. Pick up Sense Materia. Head back to the Sector 6 road maze and retrace your way to Aerith’s House via the Sector 5 slums. Don’t forget to save your game. 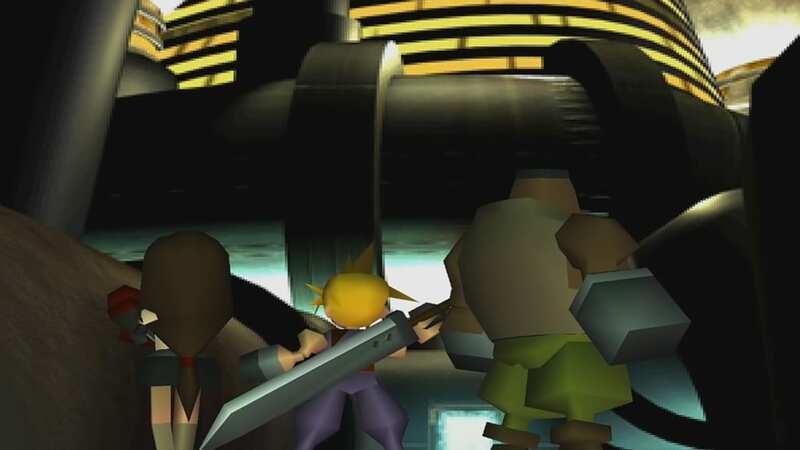 Team decides to infiltrate Shin-Ra HQ and rescue Aerith. Drop by the Sector 5 slums and visit the Materia Shop. Purchase Materia needed for the incoming battle. 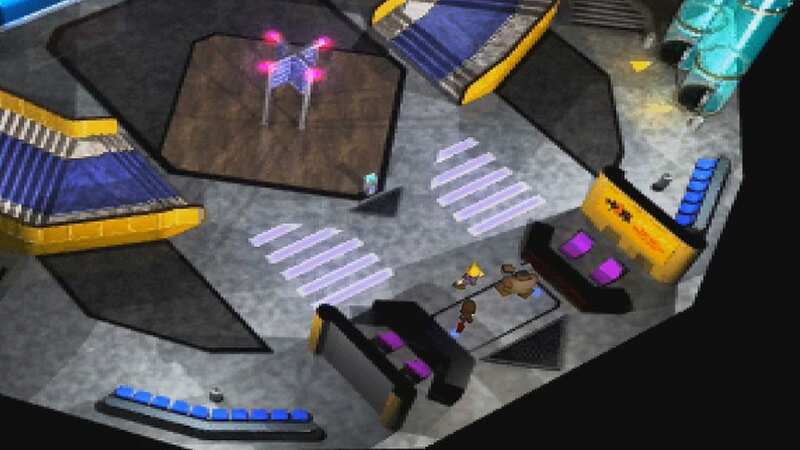 Proceed back to Wall Market by passing through the Sector 6 maze and the playground. Visit the Wall Market Weapon Shop. Purchase Batteries. Don’t forget to stock-up on three Lightning Materia for each active party member. Optional: Visit Don Corneo’s mansion and pick up a Phoenix Down in his lackeys’ room if you were chosen as Don Corneo’s girl or a Hyper if you weren’t. While heading upward, follow a group of children proceed right. Climb the long cable until you reach the next screen. While proceeding through the cables, plug batteries into blank yellow sockets to move upward even further. Proceed upward when you see a swinging bar and pick up an Ether. Go back the screen with the swinging bar. Leap on the other side with proper timing. From the other side, continue moving upward until you reach Shin-ra HQ. 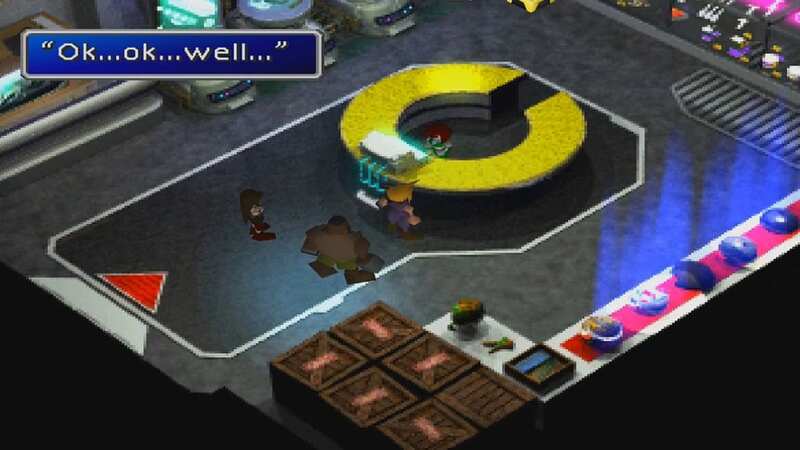 Tifa and Barret will ask you how to infiltrate the Shin-ra HQ. Save your game at the Save Point. Option 1: “Let’s sneak in quietly.” Climb all the way up to the 59th floor by heading left and using the side entrance door. Option 2: “Let’s bust on in!” If you choose this option, you will have more chance to level your party prior to the upcoming boss battles. When you decide to bust inside the Shin-ra HQ front door, take down all the Grenade Combatants that you encounter. Check the newsletter: “Turtle’s Paradise Newsletter #2” near the elevators. Proceed to the reception area. Go to the second floor through the staircase. Proceed to the 2F Shop and purchase Potions, Phoenix Downs, Antidotes, Eye Drops, and Tents. Proceed to the third floor and enter the elevator. The elevator will occasionally stop on other floors. Prepare for random enemy encounters with Grenade Combatants, Mighty Grunts, Hammer Blasters, and Sword Dancers. Proceed to the 59th floor, fight three enemy Shin-ra soldiers to get Keycard 60. Proceed to the 60th floor, sneak-in past the guards by hiding behind the statues when they are not looking. Proceed to the 61st floor, get the keycard from an employee in the lounge area. Proceed to the 62nd floor, talk to a mayor and reorganize books misplaced on the wrong shelf. Speak back to the mayor and get another keycard. Proceed to the 63rd floor, pick up three coupons in various rooms and trade them in at a computer. You will also acquire a Star Pendant accessory, a four-slotted armor, and an All Materia. Proceed to the 64th floor, save your game at the Save Point. Examine a vending machine and bang on it. Pick up a Phoenix Down and an Ether in the locker rooms. 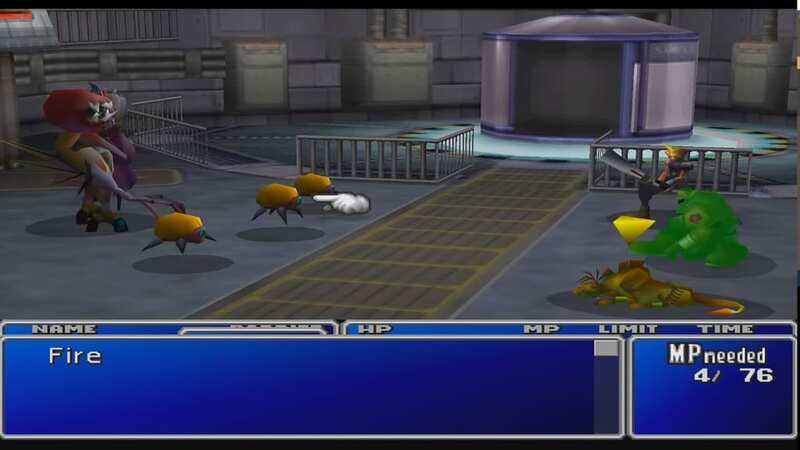 Remember the location of the Megaphone item you find, since it’s Cait Sith‘s Ultimate Weapon. 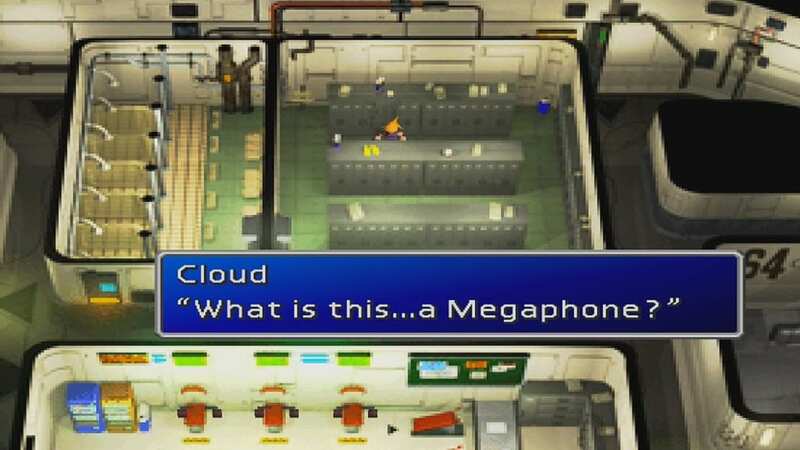 Proceed to the 65th floor, examine all chests and pick up Midgar Parts from each chest. Put all of them together to make the Midgar Model and get a Keycard from the last chest unlocked. Proceed to the 66th floor, head to the bathroom and enter the ventilation shaft. Watch cutscene: “Shin-ra HQ meeting.” After the meeting, crawl back and follow Hojo. Proceed to the 67th floor and save your game at the Save Point. Pick up a Poison Materia near the Save Point. 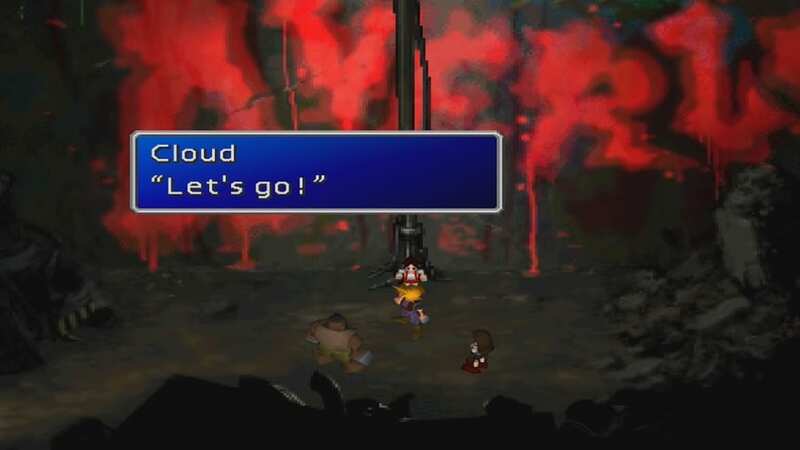 Watch cutscene: “Hojo’s Breeding Experiment.” Rescue Aerith and Red XIII. Boss Battle with H0512. 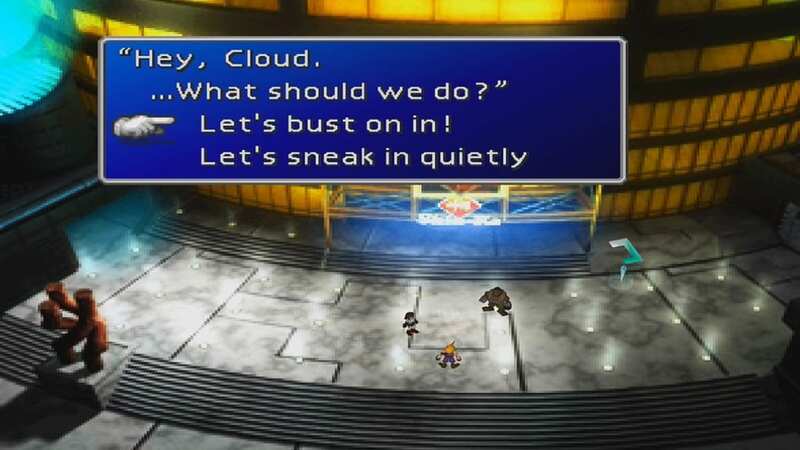 Your party consists of Cloud, Red XIII, and whomever you didn’t choose to send away to help Aerith. After beating H0512, pick up Enemy Skill Materia from where Aerith was. Talk to the technician to get a Keycard. Before leaving, farm at least five Carbon Bangles from Moth Slashers for your party. Also. acquire a Hardedge for Cloud from Soldiers. Then, pick up two Potions from a person in the south hallway. Take the stairs back and rest on 64th floor to heal and save the game. 3) Turn back and return to the playground. 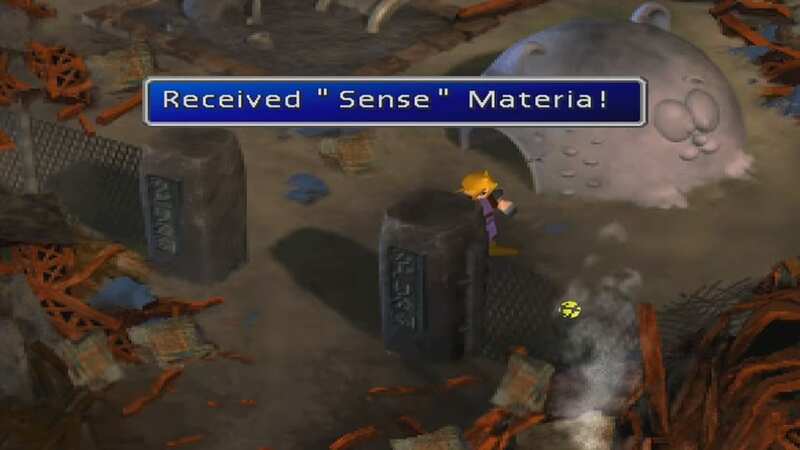 Pick up Sense Materia. 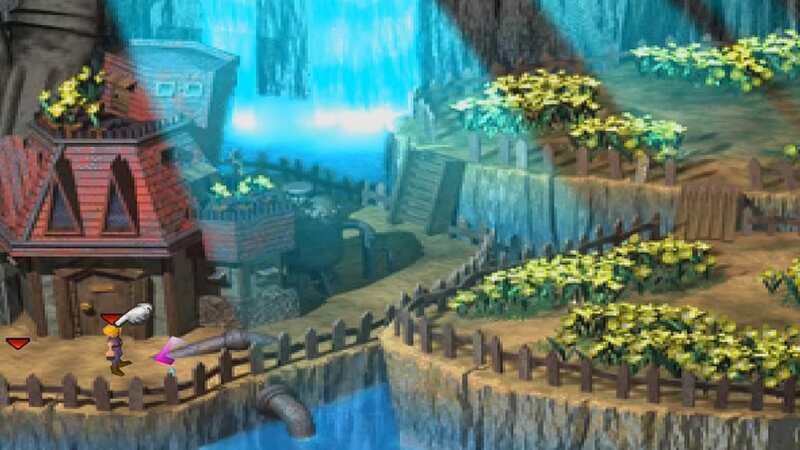 4)Head back to the Sector 6 road maze and retrace your way to Aerith’s House via the Sector 5 slums. Don’t forget to save your game. 8) Visit the Wall Market Weapon Shop. Purchase Batteries. Don’t forget to stock-up on three Lightning Materia for each active party member. 11) Climb the long cable until you reach the next screen. 14) Go back the screen with the swinging bar. Leap on the other side with proper timing. 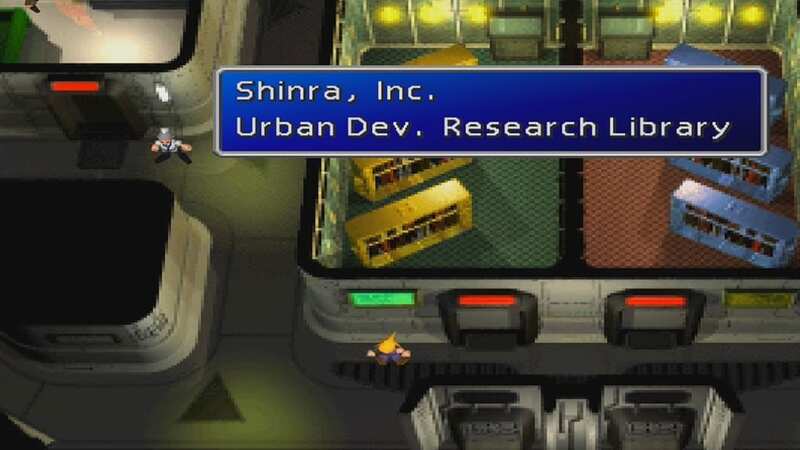 17) Tifa and Barret will ask you how to infiltrate the Shin-ra HQ. Save your game at the Save Point. 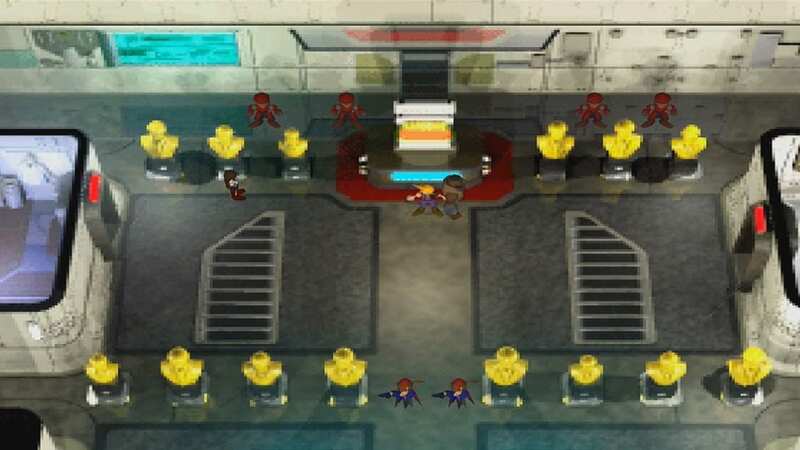 20) When you decide to bust inside the Shin-ra HQ front door, take down all the Grenade Combatants that you encounter. 23) Proceed to the 2F Shop and purchase Potions, Phoenix Downs, Antidotes, Eye Drops, and Tents. 26) Proceed to the 60th floor, sneak-in past the guards by hiding behind the statues when they are not looking. 28) Proceed to the 62nd floor, talk to a mayor and reorganize books misplaced on the wrong shelf. Speak back to the mayor and get another keycard. 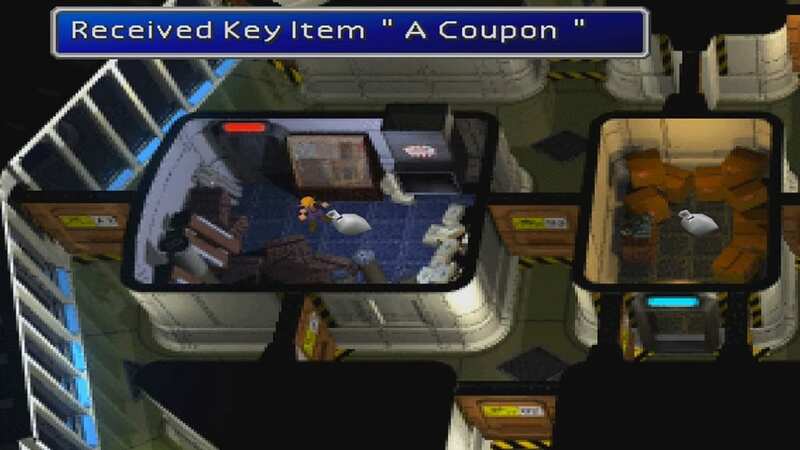 29) Proceed to the 63rd floor, pick up three coupons in various rooms and trade them in at a computer. You will also acquire a Star Pendant accessory, a four-slotted armor, and an All Materia. 30) Proceed to the 64th floor, save your game at the Save Point. Examine a vending machine and bang on it. Pick up a Phoenix Down and an Ether in the locker rooms. 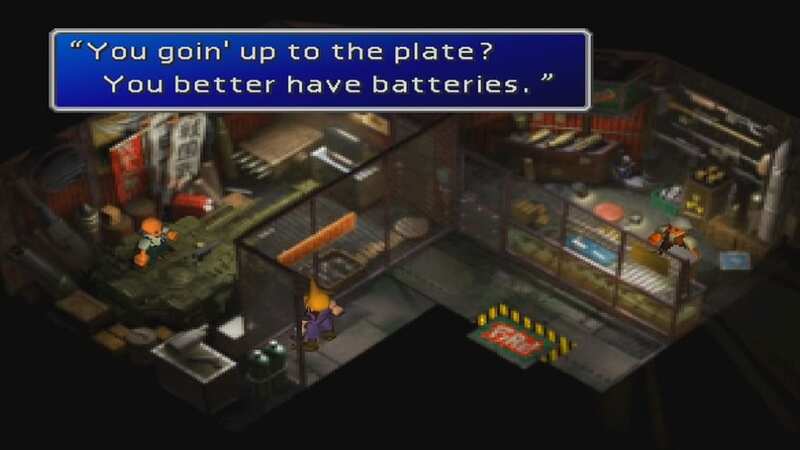 Remember the location of the Megaphone item you find, since it’s Cait Sith‘s Ultimate Weapon. 32) Proceed to the 66th floor, head to the bathroom and enter the ventilation shaft. Watch cutscene: “Shin-ra HQ meeting.” After the meeting, crawl back and follow Hojo. 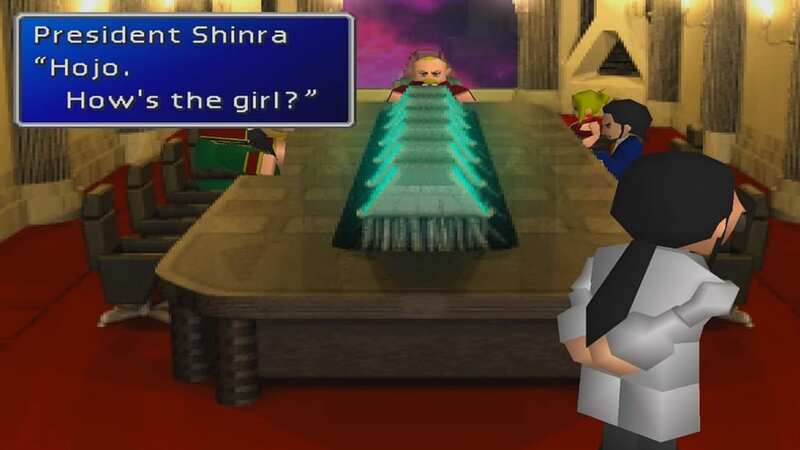 32) Watch cutscene: “Shin-ra HQ meeting.” After the meeting, crawl back and follow Hojo. 33) Proceed to the 67th floor and save your game at the Save Point. Pick up a Poison Materia near the Save Point. 35) Boss Battle with H0512. 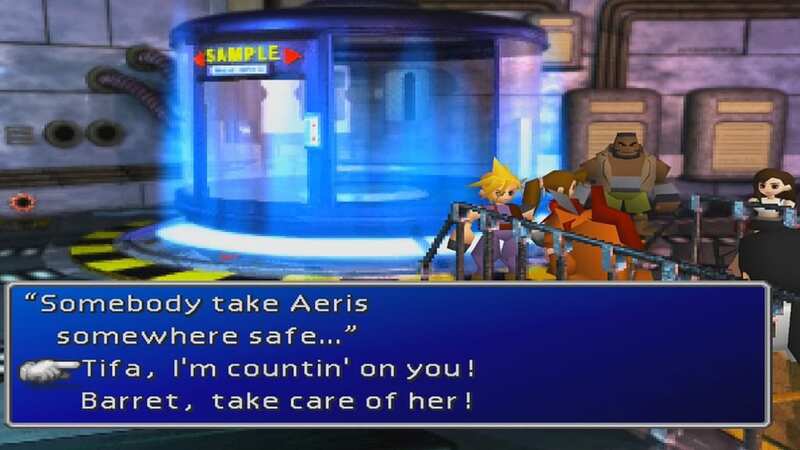 Your party consists of Cloud, Red XIII, and whomever you didn’t choose to send away to help Aerith.